The Layers StoreKit plugin extends WooCommerce for your Layers theme, adding enhanced styling, menu cart, catalog and product post element visibility, and shop-exclusive sidebars. It also includes Product builder widgets for your Layers pages. To report issues with StoreKit options specifically, or to get help with using the StoreKit widgets, click on Support from this website and head to the Dedicated Support section. For help and support for WooCommerce, WooCommerce widgets and the functionality of the shop/cart beyond these settings, visit the WooCommerce support forum. You must have the WooCommerce plugin installed and activated. 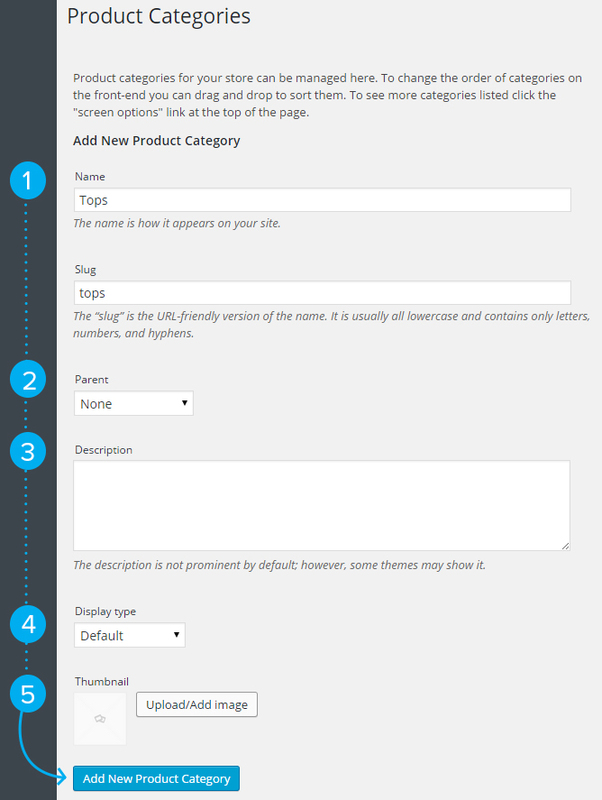 Refer to How to Configure WooCommerce for Layers for setup tips. Access StoreKit options from LAYERS → CUSTOMIZE. The first section of the StoreKit options panel controls the Header options such as the menu cart and category images. This cart displays the current total of items added, and will toggle the “mobile sidebar” when clicked. Check this option to show the cart toggle in your Header Menu (default) or uncheck to hide it. You may add widgets to the Mobile Sidebar by returning to the main Customizer menu and choosing EDIT LAYOUT. Place the WooCommerce Cart widget in the top position if the Menu Cart option is checked. If the Menu Cart option is checked, you may toggle this option to show or hide the cart icon. If the Menu Cart option is checked, you may toggle this option to show or hide the cart total. If the Menu Cart option is checked, you may toggle this option to show or hide the number of products in the cart to the right of the icon and amount. This option is new in StoreKit 1.2 and enables your WooCommerce Category image to fill the page title area when that Category is viewed. For best results, use HD category images at least 2000px wide and 600px tall. Choose Small, Medium, or Large to set the approx height of the header. Click SAVE & PUBLISH and return to the StoreKit options panel. To see the effects of this section’s options, click your Shop link in the Customizer preview. Choose whether to show the left sidebar, right sidebar, or both. You must have at least one sidebar widget in the chosen sidebar(s) for the layout changes to take effect. You can access these widget areas by clicking on the back arrow in the upper-left of the Customizer navbar, then click on EDIT LAYOUT and expand the Left or Right Shop Sidebar panels. These sidebars work best with WooCommerce widgets. Do not place Layers widgets here. These settings allow you to choose what to display on your product list pages (the Shop and product category views). You will be able to set these options separately for the single Product view. Choose from 1-4 columns. If using two sidebars, it is best to set this to 1 or 2. Your WooCommerce Product Image sizes will affect the image quality and size of images in the catalog. Refer to How to Configure WooCommerce for Layers for recommendations and ensure uploaded images are at least 800px wide for best results. Choose the number of products to display per page in the shop. Note: this will not affect Categories, and cannot paginate categories if you have WooCommerce set to display categories on the main shop page instead of products. Check to show (default) or uncheck to hide the PER-PAGE drop-down in the catalog bar. This drop-down allows your visitors to change the number of products listed (this only affects their view). To test the product count drop-down, Save your changes, then click the Layers icon in the Customizer nav bar and choose Preview This Page. Do not test it from within the Customizer preview pane / without saving first. Check to show (default) or uncheck to hide the DEFAULT SORTING drop-down in the catalog bar. This drop-down allows your visitors to sort your catalog by popularity, price or newness. Check to show (default) or uncheck to hide the Sale badge in the top-left corner of any on-sale products. Check to show (default) or uncheck to hide the SELECT OPTIONS or ADD TO CARTbutton. This is especially useful if you want to encourage click-throughs to the main product view, or create a view-only catalog for products that must be quoted or purchased locally. Check to show (default) or uncheck to hide the price below the product title. This is especially useful if you want to encourage click-throughs to the main product view, or create a view-only catalog for products that must be quoted or purchased locally, but still be able to enter pricing info on the back-end. Check to show (default) or uncheck to hide the average star rating which appears after a product has received a review. You can disable reviews alltogether from the WooCommerce settings, or by disabling Comments on all Product posts using the Bulk Edit option in the admin. Check to show (default) or uncheck to hide the “X in Stock” text if you are managing stock on your items. Choose this option to flip between the products featured image and the first image in the products gallery. By default, products with only one image will not animate. To add additional images to your product gallery, edit the product and locate the Product Gallery box on the right side under the Category select box. Click SAVE & PUBLISH then return to the StoreKit options panel. Click a product in your catalog in the preview pane, then continue on to the Product Page options panel. You may need to view multiple products to view all of the available options, depending on which ones are new, on sale, etc. Choose whether to show the left sidebar, right sidebar, both or none. You must have at least one sidebar widget in the chosen sidebar(s) for the layout changes to take effect. You can access these widget areas by clicking on the back arrow in the upper-left of the Customizer navbar, then click on Edit Layout and expand the Left or Right Shop Sidebar panels. These sidebars work best with WooCommerce widgets. The same sidebar is shared on the catalog and single view. Click the thumbnail representing the layout you prefer for your product post – image left/content right or content left/image right. These settings allow you to choose what to display on your single product view. Check to show (default) or uncheck to hide the Excerpt. This is any text you enter into the Product Short Description area of the product post edit screen and should not be confused with the main post editor content, which is displayed in the Product Description tab below the image and purchase options. Check to show (default) or uncheck to hide the average star rating which appears after a product has received a review. This does not hide the Reviews tab! You can disable reviews alltogether from the WooCommerce settings, or by disabling Comments on all Product posts using the Bulk Edit option in the admin. Check to show (default) or uncheck to hide the Product SKU, category and tags. StoreKit includes three builder widgets for showcasing products on your Layers pages, the Product Slider, Product Category Widget and Product Content Widget. 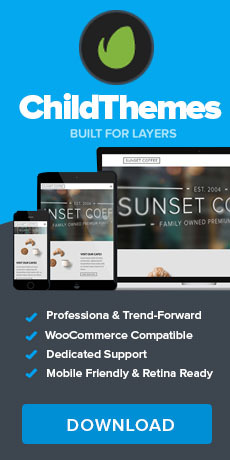 These can be used in any Layers page using the Layers Builder template in combination with other Layers and WooCommerce widgets. If you are not using a child theme that supports StoreKit presets, the following json file will help you import a demo homepage layout using these and Layers widgets. Click IMPORT and browse to this file and upload it. 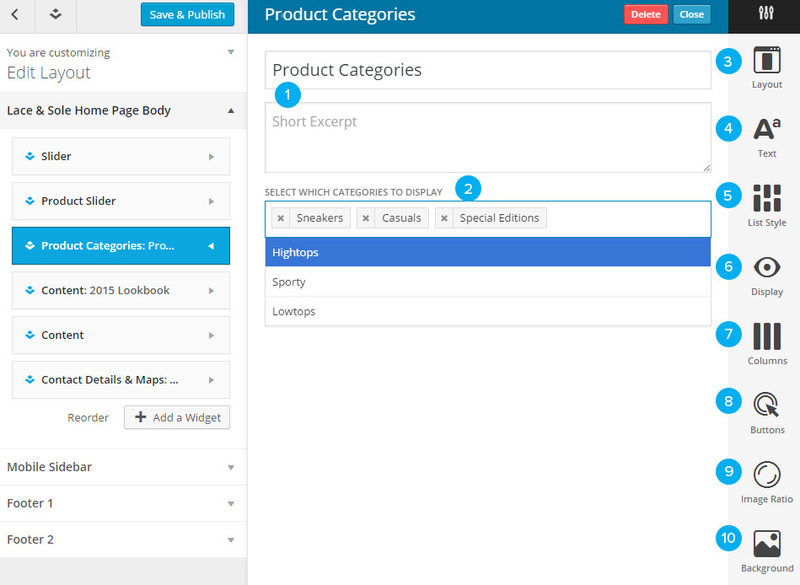 Edit the widgets with your desired products and categories. The StoreKit Product Categories widget displays the category image, title and description for each selected category in a grid or Masonry layout on your Layers pages, and may be customized using the powerful Layers design bar and column settings. To display a list of category links in your Shop Sidebar, you can use the WooCommerce Product Categories widget. To set images for your categories, go to Products → Categories from the WordPress admin, edit a category, and click on the Thumbnail option. Category images should be at least 630px wide to take advantage of all the image and column size options in the widget. If you plan to use them as page title backgrounds, we recommend they be at least 2000px wide and 600px tall. You may add a title and introduction for this section of your page, if desired, or leave these fields blank. Click into the Select Which Categories to Display field and a drop-down of your existing Product Categories will display. Select the categories you wish to add in the order you want them to appear, or begin typing a category name to locate it in the list quickly. Full-Width – expands your slider to the full width of the browser window. The content and individual slide width are still restricted and can be customized separately. Choose an alignment for the widget’s main Title and Description and select your preferred size. Grid will arrange your columns in a uniform grid with an equal height on all column blocks. Uncheck the gutter option to remove the margins/spacing between blocks. This section controls the visibility of all the things that the categories can display. Regular places the category title and description below the category image. Overlay places the category title and description over the image when hovered. Check to show (default) or uncheck to hide the Category image. Check to show or uncheck to hide (default) the number of products in the category next to or in place of the Category Title. Check to show (default) or uncheck to hide the Category Description. Edit your categories under Products → Categories to change or add a description. For best results, stick to one-line. If Category Excerpts are displayed, you can control the length of the text by entering a character count here. This will clip overly long descriptions to that length to aid in providing a uniform look and content height in the widget. Increase this number if you want to ensure the whole description shows, regardless of length. Check to show (default) or uncheck to hide the View Category button. If you choose to show the button, you may set a custom button label in the following field. Choose the number of columns for your layout, to a maximum of 6. You may also set a custom background color for the content area if the Regular Display option is used. Uncheck the gutter option to remove the margin/spacing between columns, if desired. Set a custom color for the Button and button label, if you enabled it in the Display option. Image Ratio options control how your images are scaled or cropped. Landscape: Looks for a 660px wide copy of your image at 2 columns and 480px at 3 or more. Portrait oriented originals are cropped from center. If your original is smaller than 660px wide, use more columns. Square: crops your image to 660×660 for 2 columns or 480×480 from center for 3 columns or more. None: Uses the original image, scaled proportionately depending on the column size and browser window width. Best used in combination with the Masonry layout. Round: When set to 3 columns or more, this option uses the Layers square crop of your product image and applies a circular radius. If using a 2 or 1 column layout, your Large image dimensions configured under SETTINGS → MEDIA must be square, ie 1000 x 1000. If you change those settings, make sure you regenerate thumbnails. Click here to choose an image if you want it to fill the entire widget behind the content with something other than a solid color. Full-size images you will not be tiling should be at least 1908px wide and as tall as your slider height to ensure highest quality at all screen sizes. To choose a background color, click the color palette or enter an HTML hex value. The StoreKit Product List widget displays your product posts in a grid or masonry layout on your Layers pages, and may be customized using the powerful Layers design bar. To display a list of product links in your Shop Sidebar, including On Sale or Featured items, use the WooCommerce Products widget. The widget is prefilled with demo content and settings. You may edit the title and introduction for this section of your page, if desired, or remove the default content for no title or description. New in 1.6 this option allows you to choose from WooCommerce Featured Products, On Sale products, or by Category. To feature products, you must choose Featured in the Product editor, or click the little star icon in the main Products admin page on the right side of the product row. If Category is selected in the filter box, you may choose a category here or leave All selected to grab the latest products from all categories. Choose the number of products. To keep your homepage from loading slowly or overwhelming visitors, we recommend keeping this low – less than 12. Pagination can be enabled under the Display option. Choose how to sort the products. To manually order the posts, you may select Custom Order, which requires you Quick Edit each product under the Products admin page and add a number in the Order field. All products in the selected category must have an Order number for this to work, since 0 is given highest priority. Choose from Grid or Masonry. Masonry allows product columns with varying heights due to different image dimensions or product descriptions to tile themselves. Grid will list them in a strict grid and depends on using one of the image ratio settings explained in a minute. This section controls the visibility of all the things that the products can display. Regular places the title and product info below the product image. Overlay places the title, price, button over the image when hovered. This option can only support a condensed amount of information so some checkbox options will be ignored if this is enabled. Check to show (default) or uncheck to hide the Product image. Check to show (default) or uncheck to hide the Product Short Description. This is drawn from the Product Short Description field or Custom Excerpt, if enabled in your Product Edit screen and is NOT an auto-generated excerpt of your product post content! If the short description is displayed, you can control the length of the text by entering a character count here. This will clip overly long descriptions to that length to aid in providing a uniform look and content height in the widget. Increase this number if you want to ensure the whole description shows, regardless of length. Check to show (default) or uncheck to hide the Product Price. Check to show (default) or uncheck to hide the Sale! badge which displays in the top left corner of the image. Check to show (default) or uncheck to hide the Add to Cart/Select Options button. Check to show or uncheck to hide (default) post pagination below the widget. 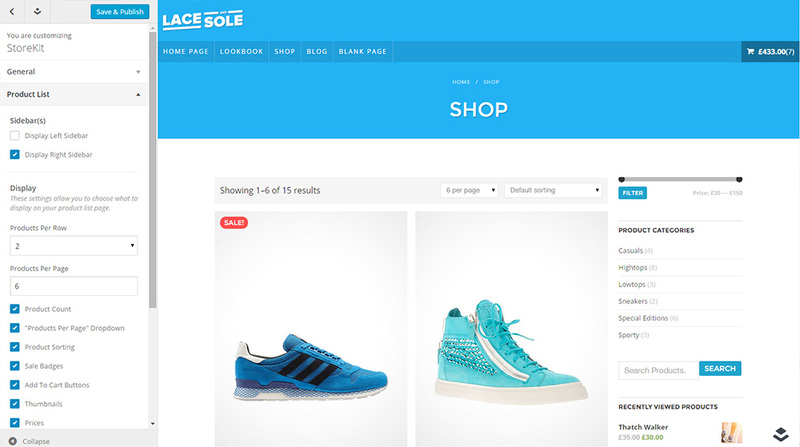 Products will be paginated within the chosen Category (if selected) on the same page. Image Ratio options control how your images are scaled or cropped. Product images should be at least 660px wide to take advantage of all the image ratio and column sizes available. Layers extensions are best updated manually unless the author has provided you with an auto-update plugin. If you purchased your Layers Extension on CodeCanyon, ensure your email notifications are setup so you are emailed when a new version is uploaded. You may also subscribe to our Updates RSS feed here to get notified on updates of Layers products created by Obox. If you have purchased an extension created by Obox (such as Layers Pro or StoreKit) , redeem your purchase code on layerswp.com to gain access to updates, special bundles and discounts, and dedicated support. You can view our list of products here. To access updates from our site, login and click the Download button under the item you want to save the updated zip file to your desktop. Help, I bought a child theme made by a different author that came with Layers Pro, how do I update? A: You will need to contact the theme author to get an updated copy of Pro. Not sure? Visit the extension page on CodeCanyon and check the Author in the right-hand sidebar. Extensions authored by us will show Obox as the author. For Layers products on layerswp.com, login and click Download under the items in your Downloads tab to save the zip file to your desktop. For 3rd party items on CodeCanyon, login and go to Dashboard, then click Download and choose Installable WordPress File Only and save the zip file to your desktop. In most cases, updated plugins require WordPress and Layers to be at the latest, greatest version to take advantage of bug fixes and new features. Go to APPEARANCE → THEMES and activate the main Layers theme. Go to DASHBOARD → UPDATES from your main WordPress admin menu. If an update for Layers is available, you will see it listed in the Themes section. Apply any updates needed. Extensions that do not have an auto-update feature need to be re-downloaded and reinstalled. Click Deactivate. This will not affect your content or settings. Click Delete and confirm deletion. Click on Add New and proceed to reinstall the plugin using the new plugin zip you downloaded above. If you need to update outside of WordPress for any reason, you can do so by overwritin the child theme folder with the new one via FTP. Your host provides you with FTP file access to your webspace via a free program such as FileZilla, or through your hosting control panel. If this option sounds daunting, see the Reinstall method above. For best results, deactivate the plugin before doing this. Download your updated extension file and unzip it to your desktop. You should have a single folder (ex. layers-pro-extension) containing a functions.php and includes folder. Browse to wp-content/plugins and locate the existing folder and delete it. This is very important, as older versions may include files that are in use or have been removed, leading to issues when you attempt to activate the plugin again. You should be asked to confirm overwriting of this folder and its contents. Confirm the overwrite.